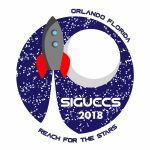 The SIGUCCS Executive Committee (EC) had a great series of meetings at the 2018 Annual Conference in Orlando. While we “see” each other once a month during our regular meetings, our in-person meetings are always productive and enjoyable. I also appreciate the opportunity to host an Open Board Meeting where we welcome input from the community. 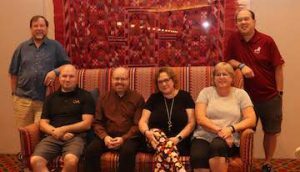 I hope you’re all enjoying your summer – although it is the busiest season for higher education technology support professionals, it also is a great time to relax and enjoy life away from the office. Each year we submit an annual report to ACM which summarizes the highlight of our activities during the past fiscal year. The 2017-2018 report is available on the Executive Committee Meeting Minutes page. Our report will be combined with other SIGs and the SIG Governing Board’s annual report and available on the ACM website. The Core Conference Committee for SIGUCCS 2019 is in place and soon they will be visiting our conference site! Stay tuned for the big reveal of our conference location! The Board held a special meeting on the topic of completing the recommendations made by our marketing consultant. We identified areas to complete this summer. You may already notice some changes to our website. Kudos to Lisa Brown and the Marketing Committee for the work they continue to perform!! We hosted three webinars on communicating in tech support, identifying core competencies, and enhancing cross functional teams. If you missed them, check out our YouTube channel. Laurie was recently elected to the SGB Executive Committee (SGB-EC) as a Member-at-Large. I’m excited to serve SIGUCCS and ACM in this new capacity! As I learn more about what my responsibilities are, I will share that news with the SIGUCCS community. If you are interested in reading more details of our activity in the Board’s meeting minutes, they are posted online: Executive Committee Meeting Minutes. The annual conference will be here in just over 70 days. Are you counting down, too? Join us in Orlando on October 7-10, 2018. Early registration prices end September 9. The end of April is approaching rapidly, which does not seem possible as the temperatures remain below freezing and snow is still in the air on my campus. Our students are less than two weeks away from final exams. Soon the campus will be mostly empty and we will be enjoying the long summer afforded to us by working at a higher education institution. Did I mention we had snow on our cars again this morning? We welcomed Allan Chen to the board as Secretary and Professional Development Coordinator. Allan hit the ground running, coordinating the 2018 webinar series and pre-conference seminars. We have hosted three webinars on topics that range from managing student projects to endpoint security. 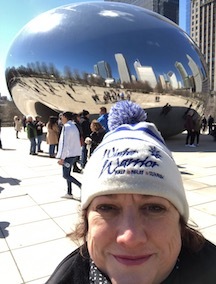 Laurie attended the SIG Governing Board meeting in Chicago in March. (It was quite cold there, too!) The focus of the March meeting was on building inclusive communities in our SIGs and conferences. It’s a great opportunity to chat with other SIG leaders and share our best practices. We accepted the Final Report from the 2017 Conference Committee and closed the financials with ACM. Another fantastic, successful conference – thank you to everyone who volunteered, presented, and attended! We prepared and submitted our 2018-2019 budget to ACM. ACM and Dan Herrick are working on site selection for the 2019 Annual Conference. Many of you are working hard for SIGUCCS, too! Our 2018 Conference Committee is busy planning our voyage to the stars (October 7-10). The Mentoring Program kicked off earlier this year, and each month mentors and mentees are growing and learning together. The Awards Committee opened their call for nominations, as did the Communications Award team. There are so many ways to stay involved! I first became aware of SIGUCCS in 1996. I had just finished my BA, and graduated in another way also: I went from being a student employee to an administrator for about 120 student employees, essentially overnight. The User Services Conference, as it was called, was held in Chicago that year. I was ‘green’ in every sense; it was my first conference as a professional, and only the second time that I had ever travelled outside of my own time zone. Fran Versace, my manager at the time and who is still active in SIGUCCS, knew that it would be a valuable opportunity for someone who was just starting their career. The significance of all of this took years to sink in, and much has happened in the ensuing 18 years. I’ve been with three very different institutions, and have had the good fortune to learn from the successes and miscues from many leaders. The best took an interest in growing the people around them. Some call this altruism. To others, it is succession planning. Regardless of the motive, aside from the individual benefits, this trait advances the organization. The lesson for me is that as we Build (our) Own Destiny in Salt Lake City, sometimes it takes a single act of mentoring to transform someone. Had it not been for Fran taking a chance on me, or introducing me to SIGUCCS, my career would be in a very different place. I may not have met dozens of people who I now consider friends, and have influenced me professionally and personally. SIGUCCS has many strengths; one is the opportunity to develop long-term conversations with professionals in our field, with a broad perspective that comes from an international community. For decades these conversations have happened primarily at conferences or listservs. One of the efforts to foster these conversations year-round is the SIGUCCS Mentoring program, which is about enter its third year. This unique year-long program is available to all members (join now: http://www.siguccs.org/join.shtml), and is a centerpiece of our professional development offerings. It is an invaluable opportunity to gain insights, and to either advance in your career, or to help someone in achieving their goals. 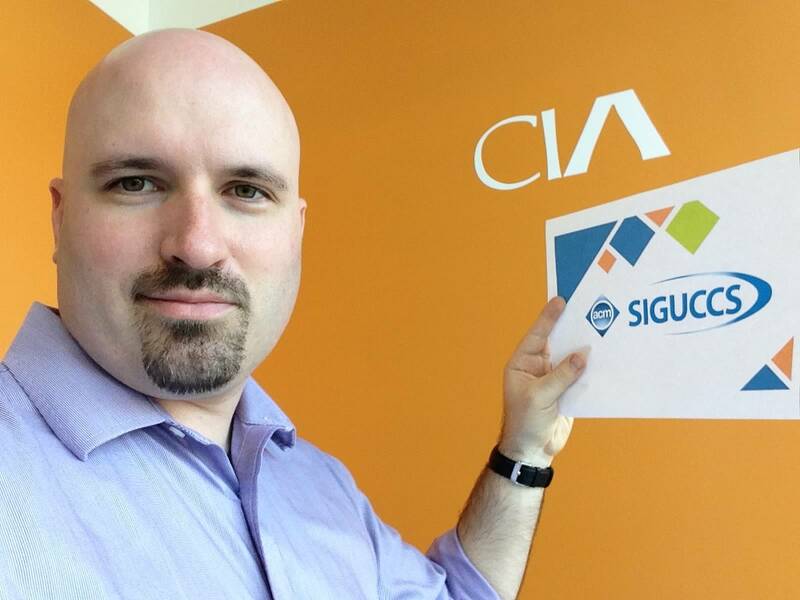 SIGUCCS is built around networking opportunities. As you build your destiny, take a moment to help someone with theirs. 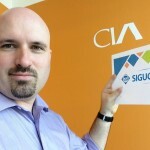 Perhaps there is someone at your institution who has never had an opportunity to connect with their peers, and would benefit from the SIGUCCS experience. There may be an attendee who is struggling with a situation that you, or your institution, have solved already. Please share those experiences, however trivial they may seem. From personal experience I can tell you that even the smallest interaction can be impactful for years afterwards. I look forward to seeing you in Salt Lake City, and having those conversations.